Birmingham City University’s brand new £57 million home for Birmingham Conservatoire has been granted a Royal title by Her Majesty The Queen. “With our new name and suitably magnificent new home we intend to set the global benchmark for music and drama education and performance. This is a hugely significant moment for music and drama education in the UK. The Royal title bears testimony to the value the Conservatoire rightly places on the importance of the performing arts in all our lives. 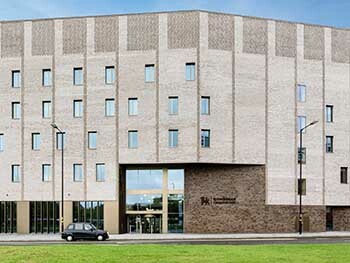 “The Royal title not only indicates the Birmingham Conservatoire’s national and international repute but also its transformative impact on people’s lives. It has both nurtured the talent of many household names and developed a programme of widening music participation that has benefited thousands of young people and their families from diverse communities across England, much like the University of which it is part. The protected Royal titles are conferred sparingly, and all applicants must satisfy several strict conditions. The bestowment follows the HRH The Earl of Wessex becoming the Conservatoire’s first Royal Patron in March 2016. Alongside private rehearsal rooms and dedicated teaching spaces for musicians, the five-storey high building has more than 70 teaching practice rooms. 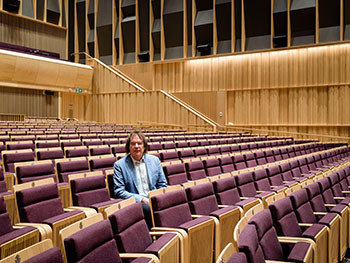 The Royal Birmingham Conservatoire enjoys nearly 70 formal partnerships with some of the world’s most prestigious performing arts institutions, including the Franz Liszt Academy of Music in Budapest, the National Conservatoire of Music and Dance in Paris and the Shanghai Conservatory of Music.